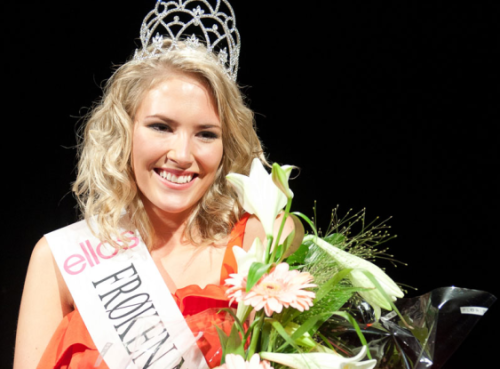 Miss Norway 2011 or locally known as the Froken Norge 2011 beauty pageant winner was the 23 year old Anna Larsen Zahl from Sortland. The event was held last August 27 at the Storefjell Resort Hotel in Gol. Giving up her title and crown was the outgoing winner Froken Norge 2010, Mariann Birkedal. Close to the title was Teresa Valbekk ended up as the 1st run-up place. She will compete in Miss Universe 2012 next year. Anna Larsen Zahl stands 1.70m tall and she will represent Norway in Miss World 2011 beauty contest on November 6 in London, UK.